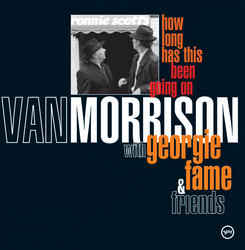 This is a jazz album collaboration between Van Morrison and his longtime friend, smoky-voiced London scene jazz veteran pianist and singer, Georgie Fame. It was recorded in the legendary Ronnie Scott's club in London. It was recorded "live", as such, but with no audience present. 4. Who Can I Turn To ? Without going to huge detail, song by song, it is an immaculately played album, by top quality musicians, crammed full of jazz piano, stand up bass, brass and jazz drums. There are bluesy aspects too, and, as expected, Morrison handles the bluesier numbers, like the jaunty opener "I Will Be There" and the slow burning "Who Can I Turn To?" 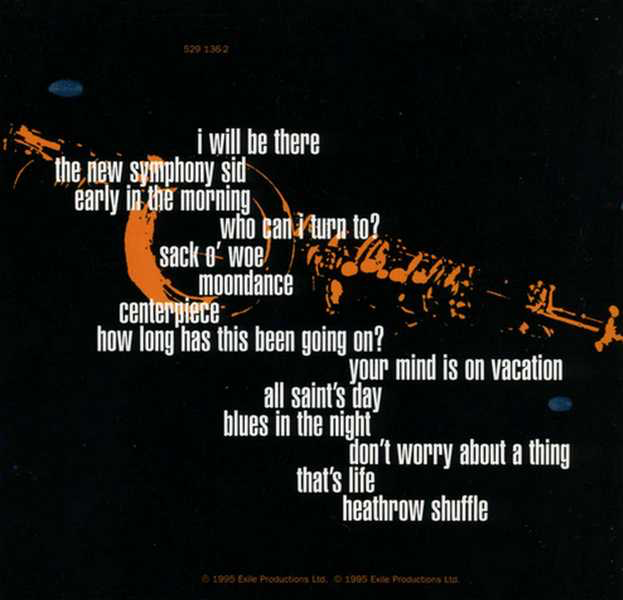 while Fame takes the more blatantly upbeat jazz ones, like the swinging, and slightly irritating "The New Symphony Sid". There are also duets, like the toe-tapping "Sack O' Woe" (which also has several great instrumental solos). 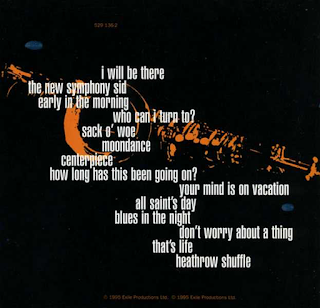 There are jazz covers of the Morrison classic "Moondance" (which was always very jazzy anyway) and "All Saint's Day", from "Hymns To The Silence". "Moondance" is extended into a seven minute, brass and bass-driven lively slice of jazz groove. The instrumentation suits the song perfectly. They also cover Frank Sinatra's "That's Life" impressively. Morrison's voice is on fine blues form throughout, and he and Fame play off each other effortlessly. They are two highly competent musicians enjoying themselves, doing what they do best. Van has always been able to adapt his instinctively blues voice to cope with jazz, more than adequately. "Blues In The Night" is a classic example of this. He has always been a big jazz fan, so you feel it is a labour of love for him. It has the feel of an evening in a smoky London club (Ronnie Scott's) in 1958 and is very enjoyable to listen to, particularly late at night. The sound quality is also absolutely superb. The cover is great too.